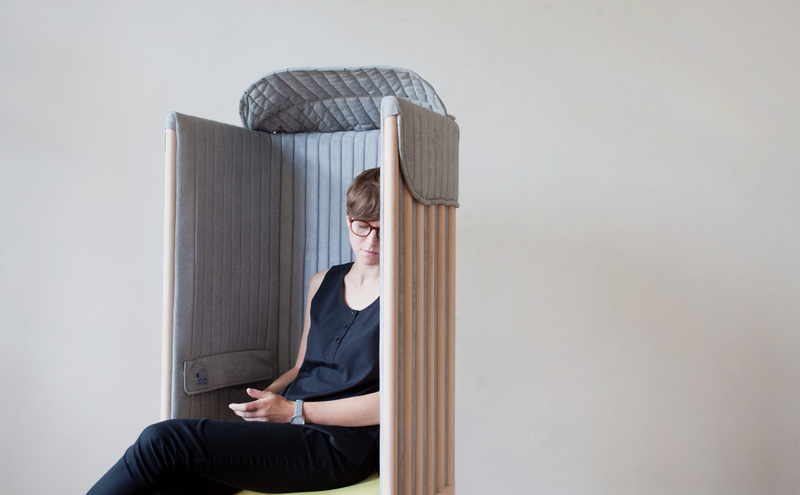 The Offline Chair by Agata Nowak, who recently completed her M.A. at the University of Fine Arts in Poznan, uses flexible fabric to allow users to signify when they're looking for privacy. It even features a pocket to silence your smartphone. The Seat Magazine Rack is just that, both a storage space and a place to sit—accented with contrasting colors. Her Multifunctional Desk features a stowable back and drop-down sides. It can transform from a desk to a dining table. Her Timewatch is both a clock and a mirror—a clever accessory you'll check every time you leave the house. For more on emerging designers, check out Dwell's Young Guns 2016, coming soon in our June issue.